The Northeast has experienced an explosion of microbreweries and brew pubs producing a fascinating array of beers from IPAs to stouts, lagers, and porters. 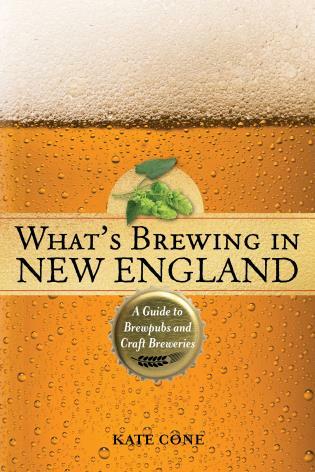 The number of microbreweries has grown by leaps and bounds since the first edition of this guide was published nearly twenty years. Now, Kate Cone has traveled the length and breadth of the region to both research the breweries profiled in the first edition and the newcomers that have sprung up since, and of course to sample their products. The new volume includes interviews with the brewers, anecdotes and stories about the breweries and brewpubs, as well as directions, information about their hours of operation, their menus, and even some recipes. The breweries are not ranked, as beer preference is so subjective, but Cone does share her personal experiences and opinions. She covers every brewery in the region, so she's able to help you find the places, but it's up to you to determine which you like the best. Kate Cone has a Master of Fine Arts in Creative Writing, is a freelance writer and a regular contributor to the Bangor Daily News and other publications. Before becoming a professional writer, she worked at a microbrewery in Maine. She lives in Waterville, Maine.